Scientists have uncovered evidence of a colony of pterosaurs that lived around a desert lake in southern Brazil around 100 million years ago. Evidence of a colony of flying dinosaurs that lived around a desert lake in southern Brazil around 100 million years ago has been uncovered by scientists.Fossil remains of at least 47 of the previously unknown flying reptiles, with wingspans ranging from two to eight feet (0.65 - 2.35 metres), were discovered at Cruzeiro do Oeste in the southern state of Parana.Named Caiuajara dobruskii, the pterosaurs are the first to be found so far south in the country, said the study in PLOS ONE.The huge number of bones could represent hundreds of young and adult individuals, scientists believe. And it´s exciting and all, the Pterosaurs certainly did possess some intersting behaviors. One thing to note is that Pterosaurs are not dinosaurs, but rather a sister group, the only flying dinosaurs we know of are the birds and the bird-like dinosaurs. 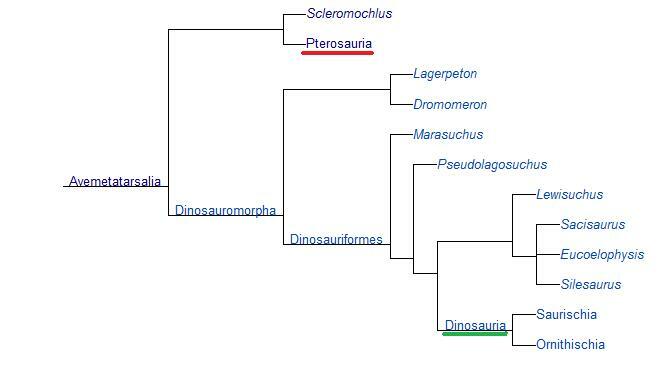 Plesiosaurs, Ichthyosaurs and Mosasaurs are not dinosaurs either. We do not know of any fully aquatic dinosaurs, though spinosaurids appear to have been at least semi-aquatic. Probably a colony, and probably persistent; very interesting! yeah, i notice they had that wrong in the article, but copied and pasted for a short summary The only other colony I've read about that could match this is the one in china, Thinking we are coming into a new age of pterosaur knowledge and understanding. I cant wait to read some of the papers that come out of it and compare the findings to those from China.